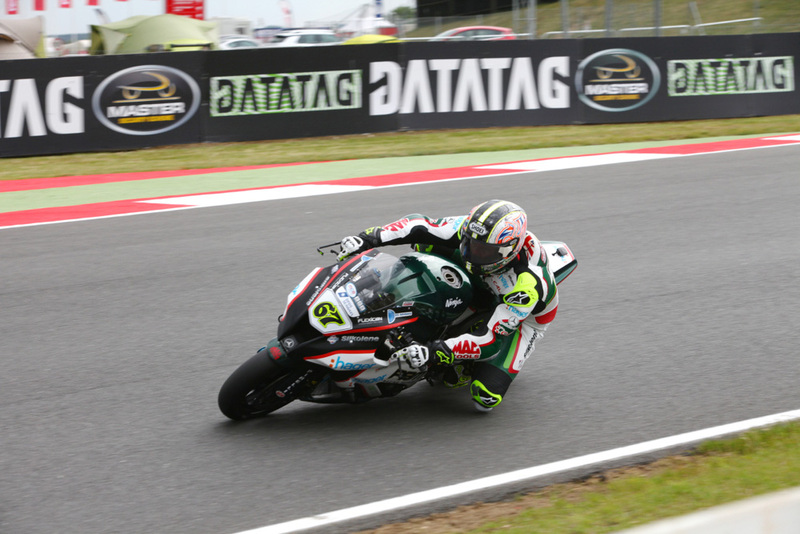 Shane 'Shakey' Byrne strengthened his title defence by winning the second MCE Insurance British Superbike Championship race at Snetterton, scoring his first double victory of the season for the PBM Kawasaki team in an incident-filled race two. Byrne again had a flying start from the pole-position to lead the pack into Riches for the first time with the Australian contenders Josh Brookes, Jason O'Halloran and Broc Parkes in close contention. Ryuichi Kiyonari's disappointing weekend continued when he crashed out of the second race at Agostini corner, the Japanese rider was able to walk away and as the frantic opening laps continued the rest of the pack continued to jostle for positions. The Nissan GT-R Safety Car was then deployed when Taylor Mackenzie's Team WD-40 Kawasaki engulfed in flames on the third lap. 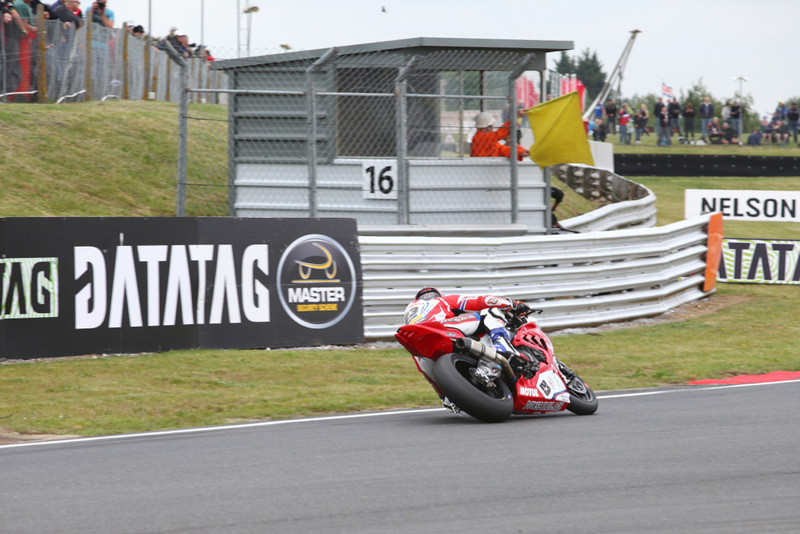 When the race resumed the leading quartet were scrapping to keep the advantage and Chris Walker was pushing hard for the Be Wiser Kawasaki team; he was holding fourth place until he crashed at Riches on the sixth lap. At the front Byrne was edging ahead as the pack continued to tussle for the positions and O'Halloran was first to fight back, making a move on Brookes at the Bombhole on the sixth lap, as his fellow countryman experienced a problem that saw him drop down the order. 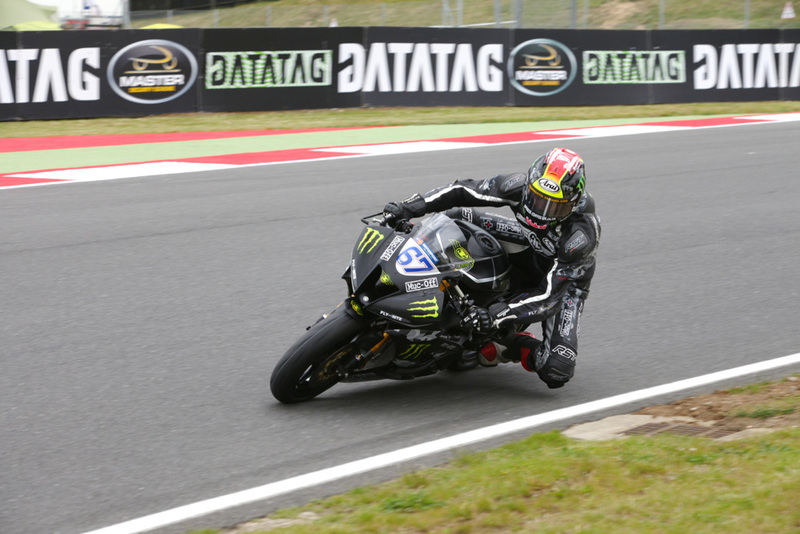 Brookes had dropped down behind James Ellison and his team-mate Broc Parkes, but a resurgent Michael Laverty was also throwing himself into the mix. 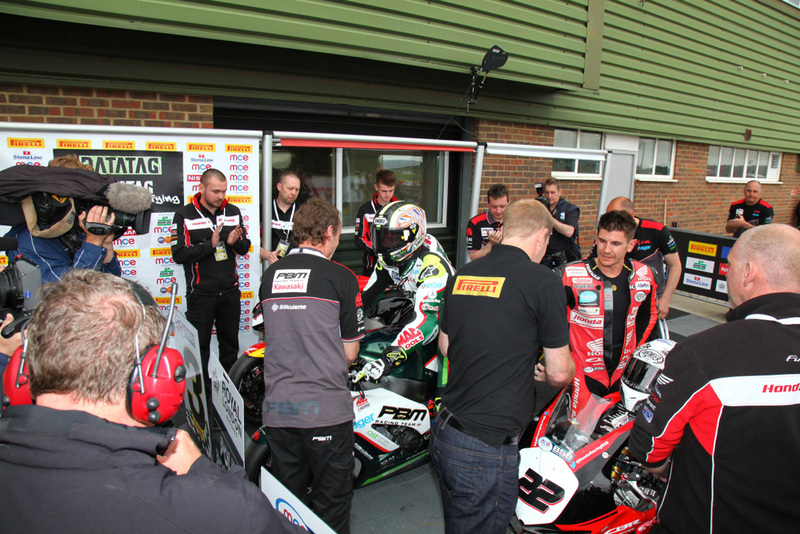 O'Halloran, Ellison, Laverty and Brookes then diced for second place as Parkes dropped back down the order and Honda Racing's O'Halloran was holding off Brookes, who had made his way back into contention. However by the twelfth lap the Milwaukee Yamaha rider moved back ahead at Nelsons. 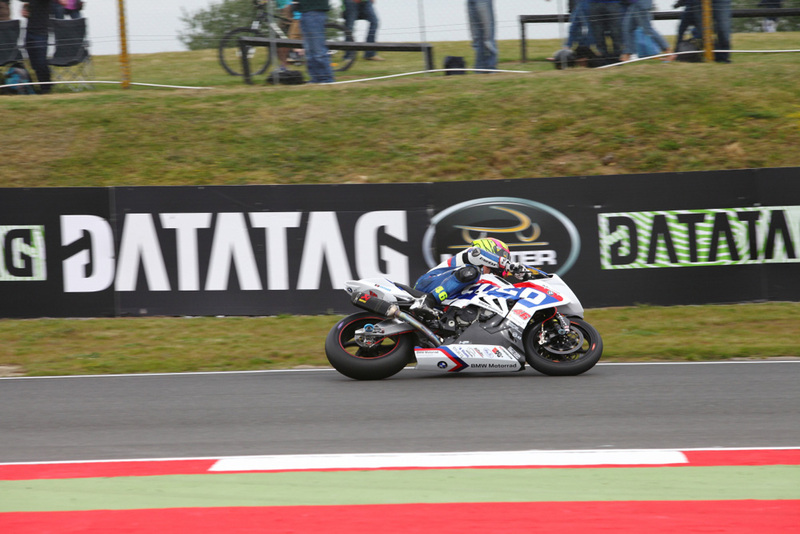 Brookes held off O'Halloran to claim second place with the Tyco BMW pairing of Laverty and Tommy Bridewell holding fourth and fifth with Stuart Easton claiming sixth after making a move on Ellison in the closing stages. 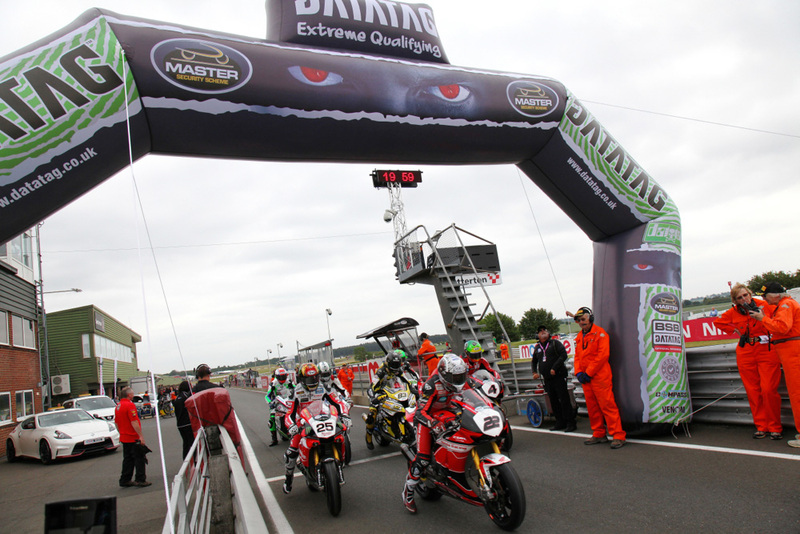 Filip Backlund, Christian Iddon and Dan Linfoot completed the top ten. 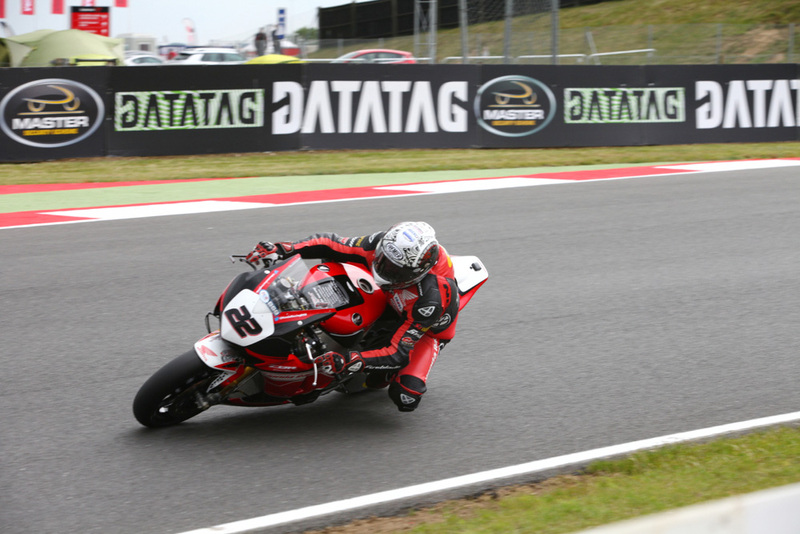 Shane 'Shakey' Byrne has claimed pole position for tomorrow's opening MCE Insurance British Superbike Championship race at Snetterton, mastering the changing conditions to hold off the Honda Racing pairing of Jason O'Halloran and Dan Linfoot. The session started in dramatic style with Linfoot crashing unhurt at Montreal; however with little damage the Honda Racing rider was able to return to the pitlane and make the necessary repairs to get him back on circuit. He wasn't the only rider to crash out, a collision between Jakub Smrz and Victor Cox collided at the end of the Bentley Straight with the Lloyds British Ducati rider crashing out at Brundle, but he was able to walk away. In Q2 James Ellison's qualifying session ended prematurely when he crashed out unhurt at Riches and despite making the cut for the top ten in Q3, there was too much damage to his JG Speedfit Kawasaki and he will start tenth for tomorrow's opening race. In the final top ten shootout for pole position the conditions continued to change again and it was initially O'Halloran who held the advantage in the opening ten minutes, however he was soon toppled by the PBM Kawasaki of Stuart Easton, before the Australian reclaimed the place. 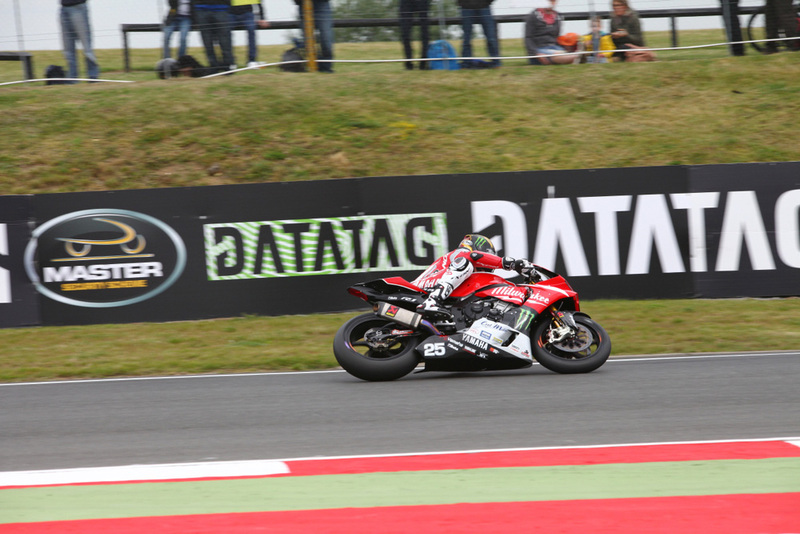 Byrne though returned to the track and the defending champion fired himself to the top of the times, 1.093s ahead of the Honda Racing pairing with Linfoot overcoming his earlier crash to narrowly make the cut for Q2 and then to fight his way inside the top ten for Q3. He was able to leap up the order to third, pushing Josh Brookes on the Milwaukee Yamaha back to fourth to head the second row. Byrne said: "It was a tricky qualifying session and in all honesty I was watching the session at the start and it was obvious that everyone was going to have a go at the end. I saw the two Honda guys go out with new tyres and Jason (O'Halloran) had his knee down going through Agostini so I knew it was not as wet as we had thought! 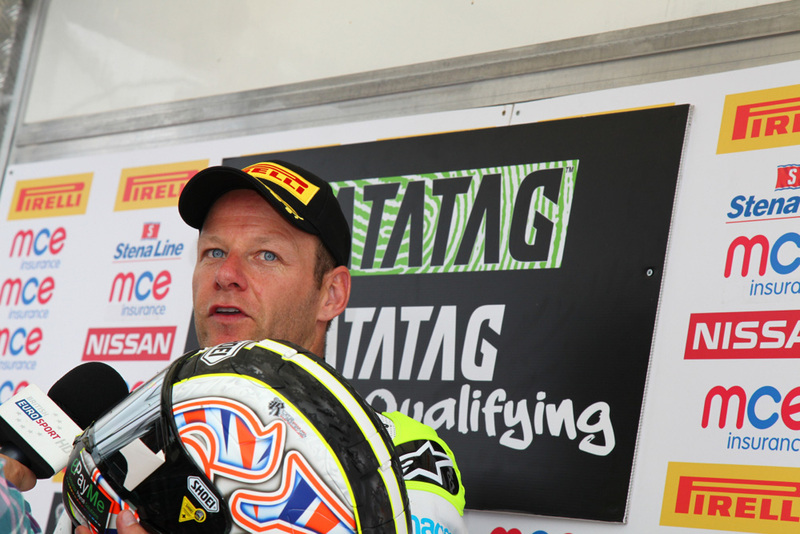 "I said to the team, put a new tyre in and I went out and put in two or three laps, which was enough to take P1 but then they were catching up but I stayed out and crossed the line with about five seconds to spare and nailed it as it was as dry as it was going to be. I went a lot faster and I am delighted to take pole. The races will be hard work - it has been a strange weekend and the bike has thrown in a few spanners in the works and was different to how it was at the test here, but the team have done a great job for me as usual." Row two features both of the Tyco BMWs with Tommy Bridewell narrowly ahead of Michael Laverty with Easton, Luke Mossey and Josh Waters forging their way into the top ten.